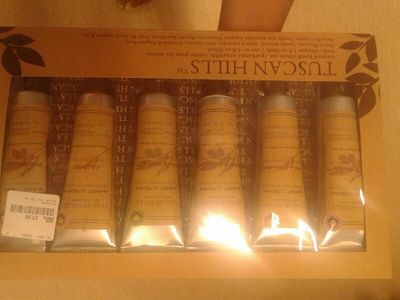 Tuscan Hills set of six hand creams are some of the finest hand creams I've used. I received this set as a gift from my Mother, who knows I'm somewhat obsessive over creams and lotions. This set is a mix of lemon oil and verbena-scented lotions, which are thick, naturally fragranced, and the perfect size to fit into your hand bag. If you'd like to buy this for a friend, or yourself, it costs $18.00 on Amazon.